Online recruitment has revolutionized traditional advertising. You can now truly measure your return on investment and identify the most effective advertising channels. But online recruitment advertising must also sell your company as a great place to work, telling the job seeker about the opportunity your firm offers them and the specific advantages you offer. 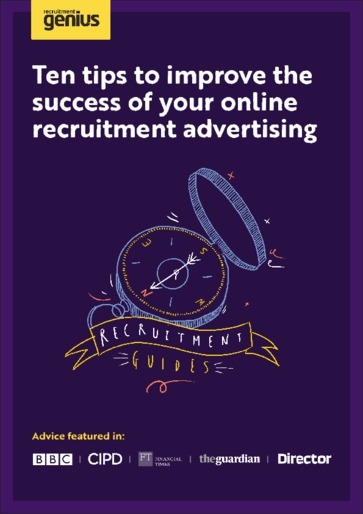 This guide will show you how to ensure your job advert gets to the top of search engine results, including the keywords you need and how to write a reader-friendly job description: people are unlikely to search using the terms that many employers use. Our team of candidate resourcers have intimate knowledge of all the major and minor CV databases including Reed, JobSite, and Monster, and here we share their tricks of the trade.